English Duofold in a very dark burgundy-brown. Very good condition with just a touch of brassing. Button filler with a new sac. 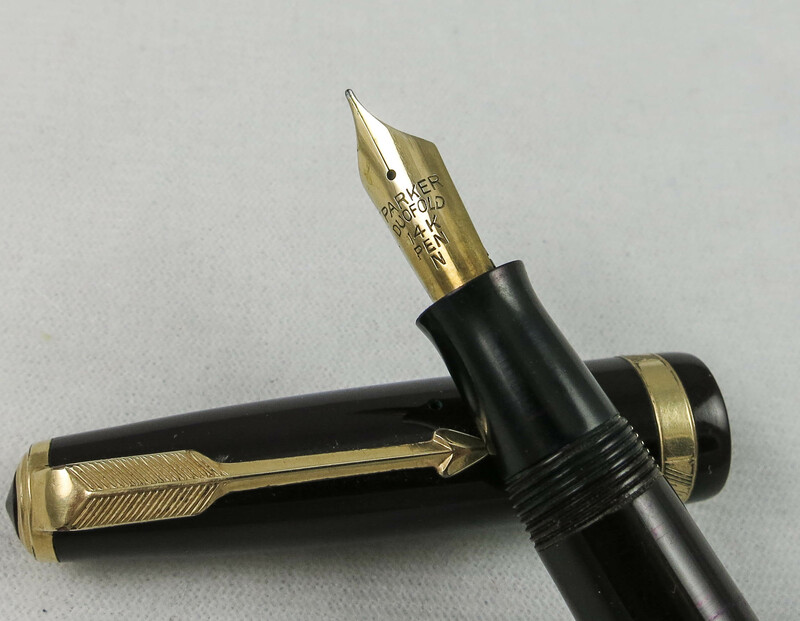 Fine 14 Kt nib. 5 3/16", 131 mm.